A group of former diplomats and academics have signed an open letter to Chinese President Xi Jinping calling for the release of two Canadians who have been detained on allegations of espionage. 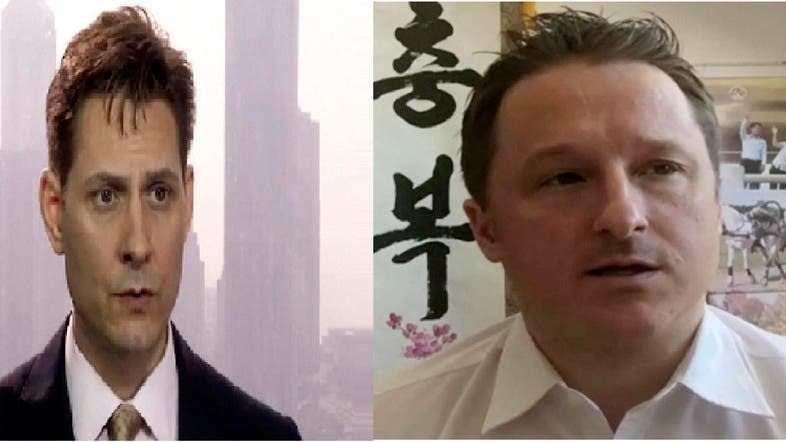 Former diplomat Michael Kovrig and businessman Michael Spavor were last month arrested in China for activities that “endanger China’s security” -- a phrase often used by Beijing when alleging espionage. Their detentions are thought to be in retaliation for Canada’s arrest on a US request of Huawei vice president Meng Wanzhou, who is accused of violating Iran sanctions. The letter said both Kovrig and Spavor worked to improve understanding of China and to promote better relations with the world. “Kovrig and Spavor’s detentions send a message that this kind of constructive work is unwelcome and even risky in China,” read the page-long letter, which had 143 signatories from 19 countries. The list includes six former Canadian ambassadors to China: Fred Bild, Joseph Caron, Earl Drake, David Mulroney, Guy Saint-Jacques and Robert Wright as well as former US ambassadors Gary Locke and Winston Lord and Hong Kong’s last British governor Chris Patten. Many of the world’s leading China academics also gave it their support. “We who share Kovrig and Spavor’s enthusiasm... must now be more cautious about traveling and working in China and engaging our Chinese counterparts,” the letter said. “That will lead to less dialogue and greater distrust, and undermine efforts to manage disagreements and identify common ground.